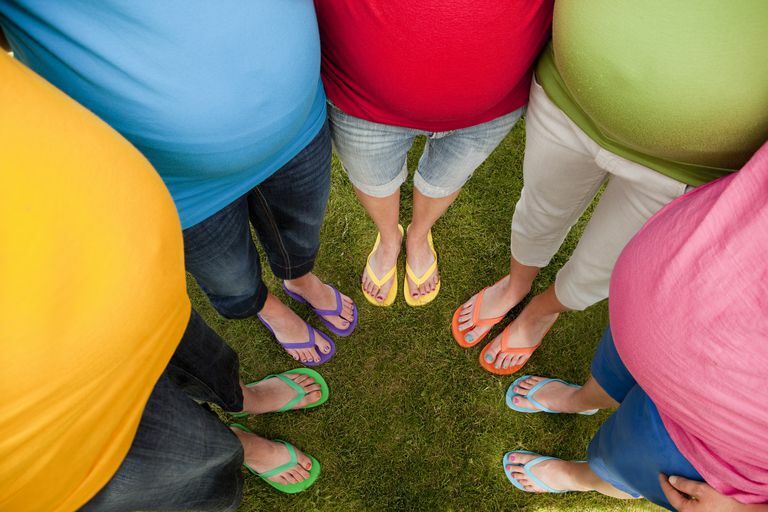 The term "rainbow baby" is used by parents who are expecting another child after losing a baby to miscarriage, stillbirth, or neonatal death, which, sadly, are all-to-common parts of the fertility journey. It's used frequently on blogs and message boards by mothers who've gone through pregnancy loss. The term refers to the fact that a rainbow appears only after the rain. In this case, the “rain” or “storm” is the grief of losing a child. Many mothers who use the term point out that the rainbow doesn’t negate the effects of the storm, which include strong feelings of guilt, anxiety, and fear. And despite the conflicting emotions, it does bring light to the dark and is a symbol of hope and healing. One of the many fears women experience after losing a pregnancy is that they'll never get pregnant again. Please keep in mind that a previous pregnancy loss doesn't mean you're any less fertile. After a miscarriage, it's very possible to become pregnant and deliver a healthy, beautiful baby after a full-term pregnancy. Most women—85 percent—will have a successful pregnancy the next time they get pregnant after their first miscarriage. If you've miscarried two or three times, you have a 75 percent chance that your next pregnancy will be successful. Because your body returns to baseline fertility after miscarriage, stillbirth, or neonatal death, it may be helpful to consider what this means exactly. After a pregnancy ends, either by spontaneous or induced means, ovulation can resume in as early as two weeks. When this happens, you can get pregnant. Research shows that there's a surge in luteinizing hormone (LH) between 16 and 22 days after the miscarriage, neonatal death, and stillbirth. This surge in LH is followed by a surge in progesterone levels. These hormone surges mean that your body is ready to start ovulating again. Furthermore, endometrial biopsy confirms that these hormone changes result in changes to the lining of the uterus conducive to pregnancy. Advice regarding how long a woman should wait to get pregnant after a miscarriage can be confusing and controversial. For instance, you may have heard that you should wait more than six months to optimize your chance of having a healthy pregnancy following a miscarriage. But research shows this isn't true. For example, findings from a 2016 study suggest that women who try to conceive within three months may have a greater likelihood of getting pregnant and having a live birth. And a large review study in 2017 found strong evidence that waiting less than six months to become pregnant following a miscarriage is not linked to adverse outcomes like low birth weight, pre-eclampsia, or stillbirth in the next pregnancy. Regardless, the big picture here is that the how long you wait to become pregnant after a miscarriage is really a personal decision, something to discuss carefully with your partner. There is no medical reason to hold off on trying to get pregnant after a miscarriage. Sometimes women like to wait after they get their next menstrual period, so it's easier to calculate a due date—again, this is a personal decision. Some women and couples want to wait to get pregnant after a miscarriage. For these people, contraception should be started as soon after miscarriage as possible. Specifically, oral contraceptives can be immediately started after a miscarriage. Furthermore, an IUD can also be immediately inserted after a miscarriage. There are also short-term contraceptive options, such as condoms, you can consider using until you're emotionally and physically ready to try again. American College of Obstetricians and Gynecologists. (2015). Frequently Asked Questions: Early Pregnancy Loss. Hoffman BL, Schorge JO, Schaffer JI, Halvorson LM, Bradshaw KD, Cunningham F, Calver LE. Chapter 6. First-Trimester Abortion. In: Hoffman BL, Schorge JO, Schaffer JI, Halvorson LM, Bradshaw KD, Cunningham F, Calver LE. eds.Williams Gynecology, 2e.New York, NY: McGraw-Hill; 2012. Kangatharan C, Labram S, Bhattacharya S. Interpregnancy interval following miscarriage and adverse pregnancy outcomes: systematic review and meta-analysis. Hum Reprod Update. 2016 Nov 17.